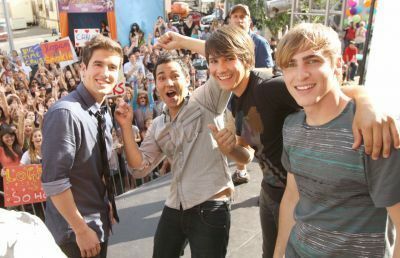 Big Time Rush On Set. Big Time Rush On Set. Wallpaper and background images in the 派对男孩 club tagged: james big time rush kendall carlos logan. This 派对男孩 photo contains 街道, 城市风貌, 城市环境, 城市场景, and 城市设置. There might also be 长衣长裤, 长裤, 长裤长裤, 商务套装, 西装, pantleg, and 裤裤.